The mission< of the project is to develop and maintain a universal database of aeronautical data, in order to facilitate the rendering of high quality VFR maps to assist the general aviation community. Tehtävänä on toimia ja ylläpitää yleismaailmallista tietokantaa pysyvää laatua olevasta ilmailun perustiedoista kunkin maan ilmailutiedotuspalvelun vastuualueelta, jotta korkealaatuiset VFR-ilmailukartat voidaan kuvantaa harraste- ja yleisilmailun tarpeisiin. The database is administered by the open flightmaps association, or OFMA, a “not for profit” organization constituted especially for this purpose, which has the support of two universities and several associations of pilots and other organizations within the General Aviation community The structure of the OFMA database closely follows the AIXM Model recommended by Eurocontrol. The open flightmaps association (OFMA) grants you, under the OFMA General Users´ License a worldwide, royalty-free, non-exclusive license to use the data contained in the OFM Database, provided you abide by the conditions of the license. These rights explicitly include commercial use, and do not exclude any field of endeavour. To the extent possible these rights may be exercised in all media and formats whether now known or created in the future. open flightmaps'n tietokantaa hallinnoi open flighmaps-yhdistys, OFMA, joka on erityisesti tätä tarkoitusta varten perustettu yleishyödyllinen ja voittoa tavoittelematon yhdistys, jota tukee kaksi yliopistoa ja useat harraste- ja yleisilmailujärjestöt sekä organisaatiot. OFMA-tietokanta noudattaa tarkasti Eurocontrolin suosittelemaa AIXM-mallia. open flightmaps-yhdistys (OFMA) myöntää sinulle OFMA:n yleiskäyttöoikeuden maailmanlaajuiseen, rojaltivapaaseen, jaettuun lisenssiin OFM-tietokannan sisältämien tietojen käyttämiseksi edellyttäen, että noudatat lisenssin ehtoja. Nämä oikeudet sisältävät nimenomaisesti kaupallisen käytön, eivätkä ne sulje pois mitään hyödyntämismahdollisuuksia. Mahdollisuuksien mukaan näitä oikeuksia voidaan käyttää kaikissa tietovälineissä ja formaateissa, jotka ovat tunnettuja nyt tai tulevaisuudessa. 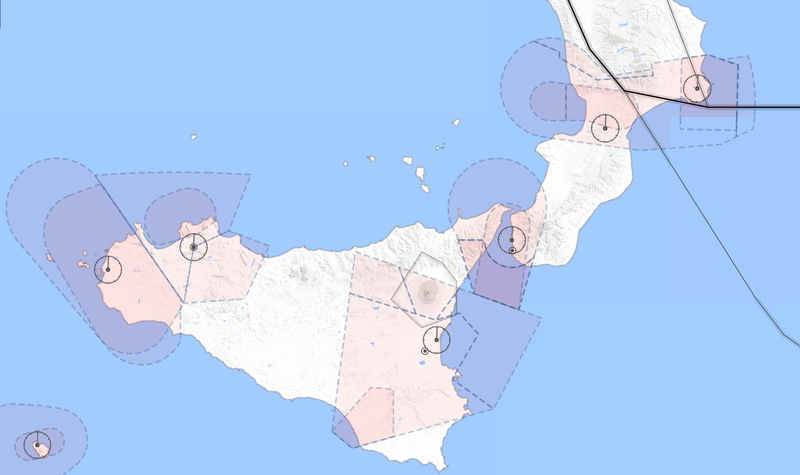 Openflightmaps will once again add another territory, Italy, to the countries covered by the project. This will take the new total up to 19 countries supported by the project. 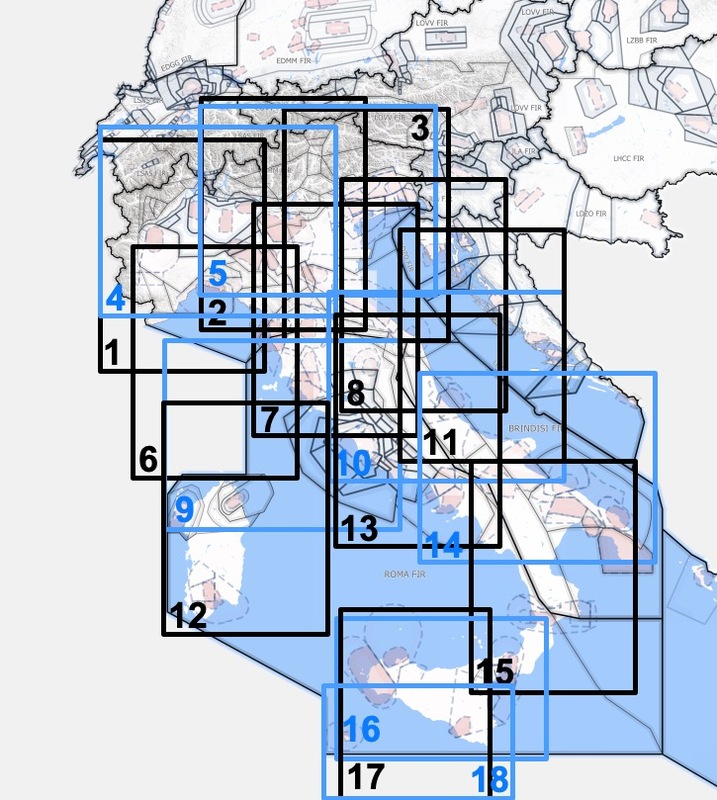 It is important to emphasize that each one of these 19 territories require constant and rigorous maintenance, to ensure that all of the information is always current. The rate of progress is encouraging, since so far three new territories have been added in 2018, and there are some more in the pipeline. In early April 2018 openflightmaps will once again add another territory, Finland, to the countries covered by the project. This will take the new total up to 18 countries supported by the project. With Finland the openflightmaps project reaches into the Artic Circle, the furthest north of all of the territories supported by openflightmaps.